My kids are obsessed with shaving cream. 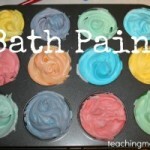 We use our shaving cream bath paint ALL the time. Any time I bring out shaving cream for a project, they are super excited. 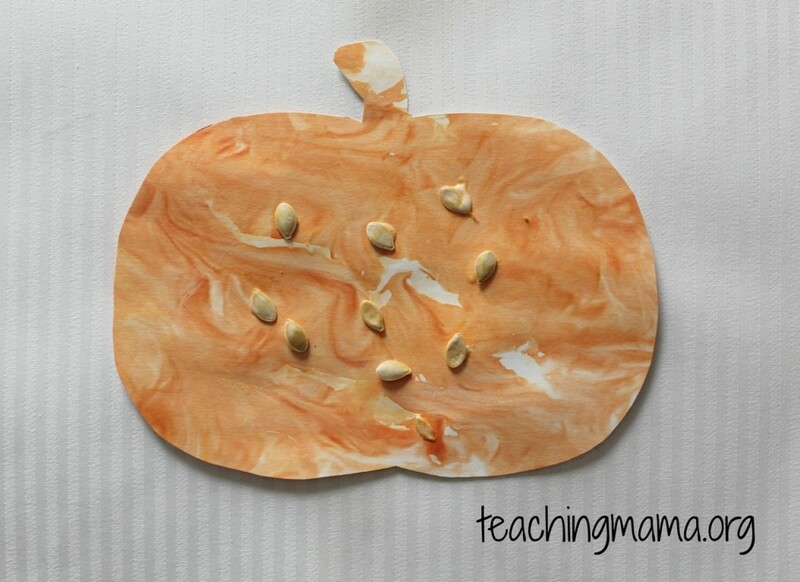 I was just thinking of a craft idea and experimenting when I came up with this pumpkin craft for toddlers. I thought it turned out so cute and I can’t wait to show it to you! 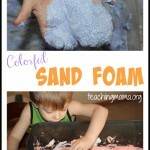 To make this activity, you’ll need to spray shaving cream on a large surface, like a cookie sheet. 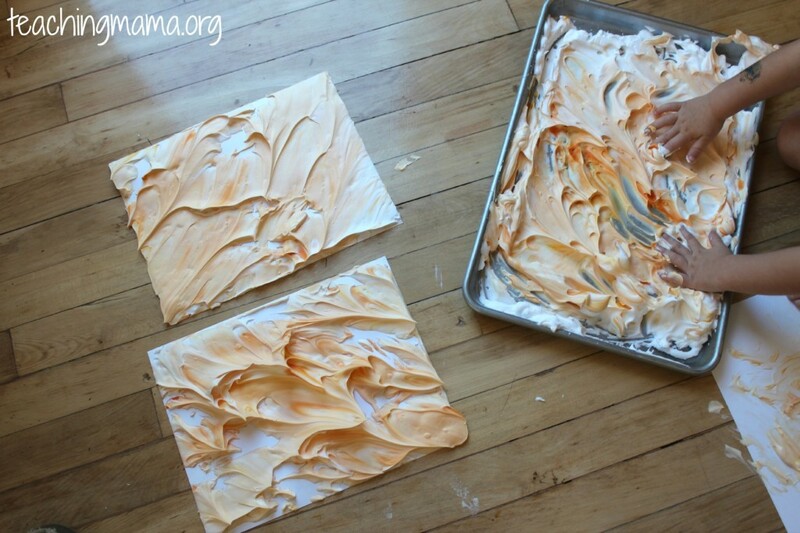 Then drop orange food coloring onto the shaving cream. Swirl around using a toothpick or stick, but don’t swirl too much. It should look something like this. 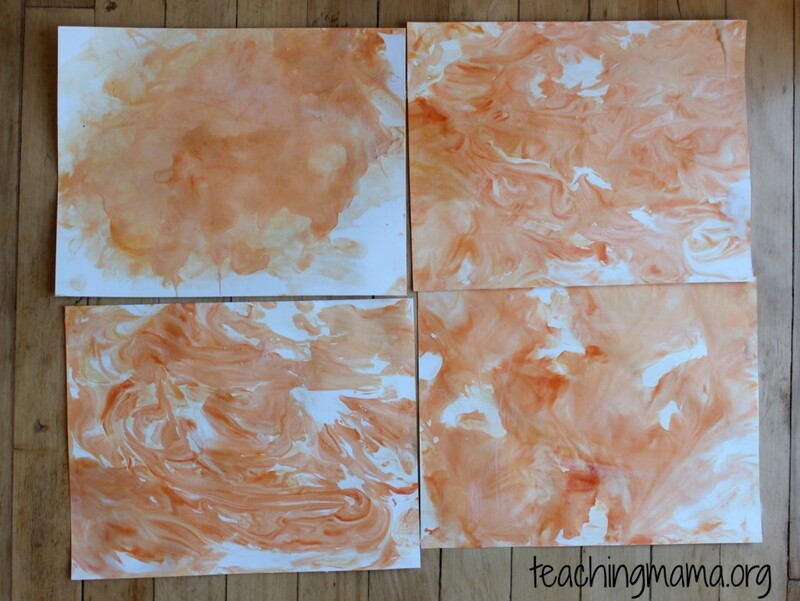 Then place a piece of cardstock paper on top of the shaving cream and press down. Pull the paper up and let it sit for a couple minutes. As you can see, my kids were quite excited to play with the shaving cream! I probably should have put down a tablecloth on the floor, but this craft was really last minute! All is well since it was very easy to wipe up! So the next step is to wipe off the shaving cream on the pictures. You can use a paper towel to do this. They should look like pretty swirled pictures! Let them dry for a bit. Then cut them into pumpkins. I printed this pumpkin out and traced it on the shaving cream paper before cutting them out. Then we added pumpkin seeds. 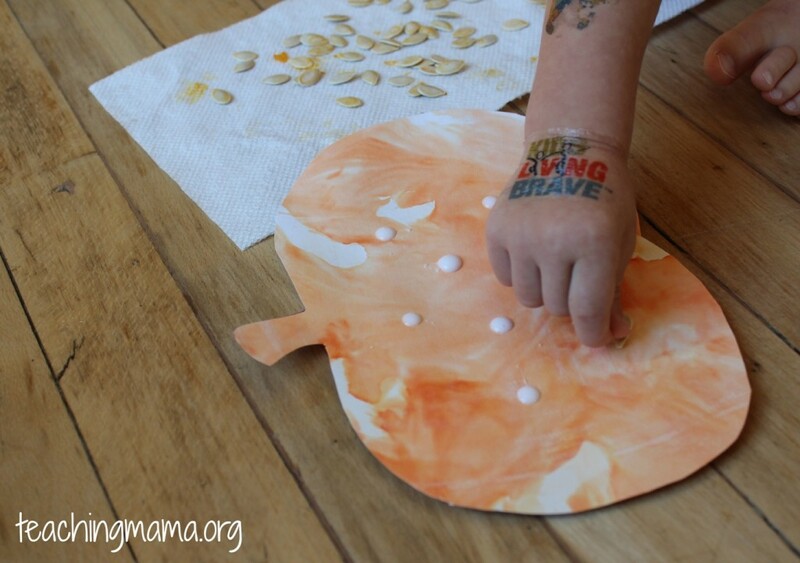 I placed globs of glue on the paper to make it easier for my toddler to add the seeds. Lastly, I added some vines. 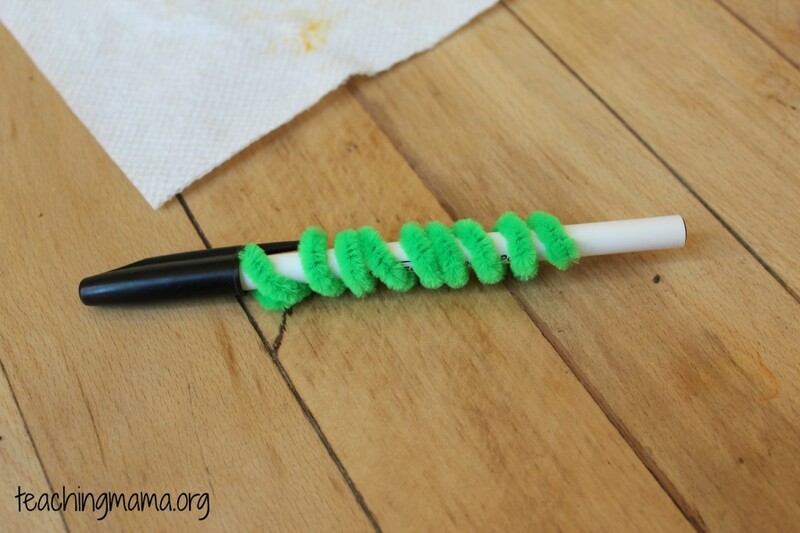 I took a pipe cleaner and wrapped it around a pen to make it curly. Then I cut it in half and taped it to the back of the pumpkin. I love having these pumpkins hang on my fridge! 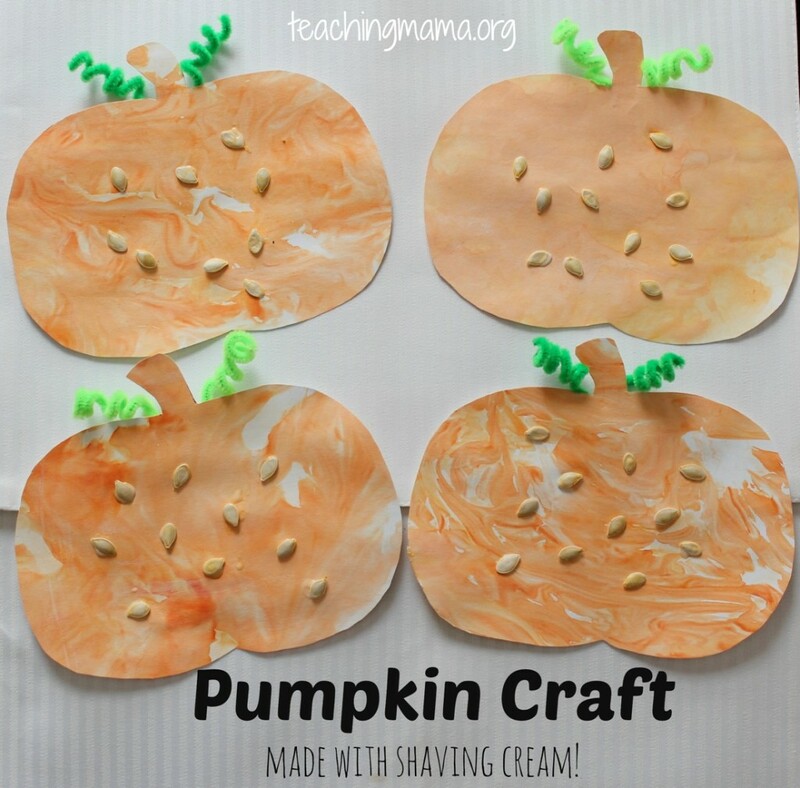 They are very cute and a perfect craft for fall! I love this craft and I can’t wait to do this with my three little munchkins 🙂 Pinning! that looks fab and messy. Like it. These are super cute! 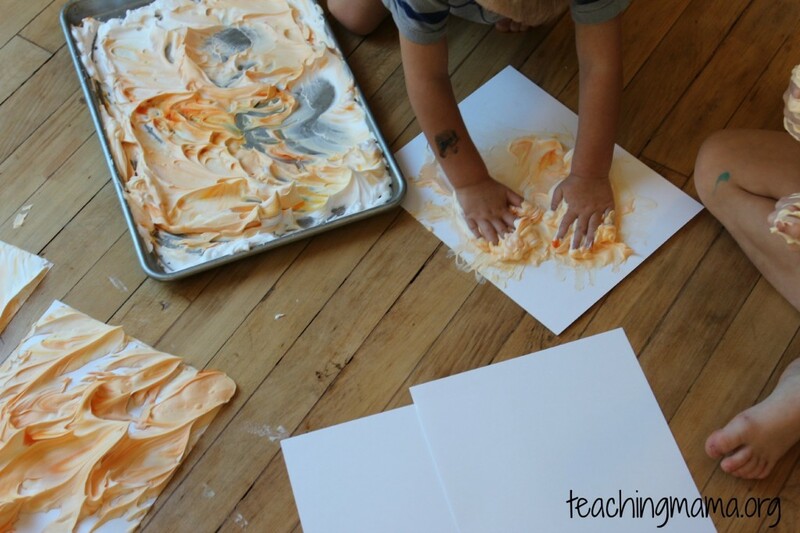 We love making art with shaving cream too. 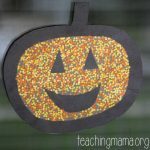 This will be one of our Halloween projects next week! 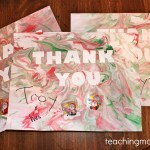 Thank you for sharing at our Pinning for Play link party! 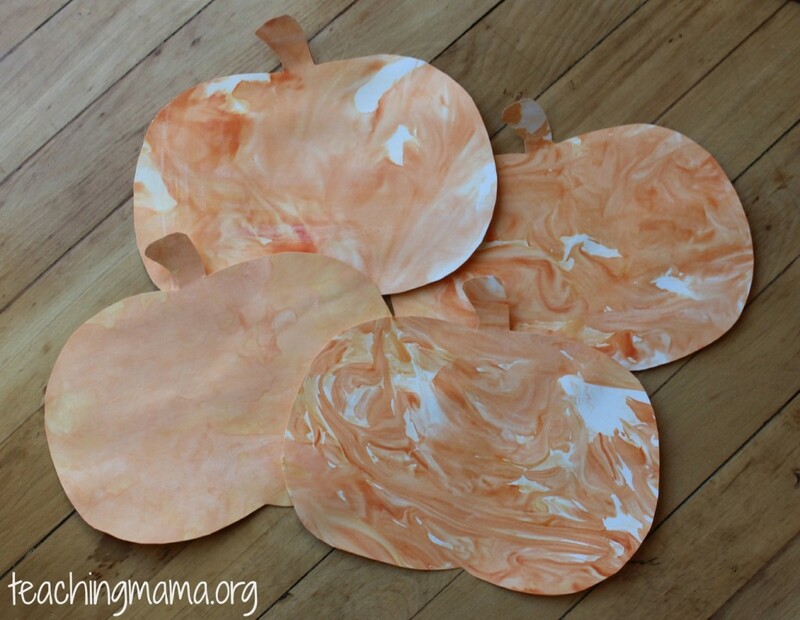 We have painted with shaving cream, but not pumpkins! Very pretty! Featured you this week on Mom’s Library! 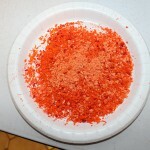 Do you think orange jello crystals would work instead of food dye for this? Hmm I am not sure…it may?! I would try it and see! What a fun project! 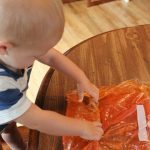 I just wanted to let you know that I am featuring this with a link back on my Fall Activity Roundup on Simply Creative Kids if you don’t mind.